Pointed Arrows anticipates featuring the works of new writers, particularly ethnic authors, and those writing about cultural, social, and human rights issues. Head of Anti-Money Laundering ("AML") and Know-Your-Customer ("KYC") Compliance responsible for design and implementation of AML/KYC infrastructure, development of office of foreign asset controls ("OFAC") and foreign corrupt practices act ("FCPA") compliance processes, client approval, policy and procedures development, client transactions monitoring, tracking regulatory and legal developments, advising senior management on AML/KYC issues, and interfacing with regulators. Managed all aspects of legal/regulatory, strategic, investment, operational and financial risk reviews of Citigroup's Alternative Investment business with $54 billion of un-levered assets under management, including private equity, hedge funds, real estate, and infrastructure. Managed global tax projects and directed business development efforts, including new product rollouts, key account management, client relationship development and engagement negotiations. Managed P&L responsibilities, and conducted cross-functional team training, coaching, and mentoring. Provided tax planning and structuring for domestic/offshore funds and multinational corporations, and represented clients in administrative proceedings before the Internal Revenue Service. After being part of mass layoffs from Citigroup in 2009, Jacqueline finally slowed down her frenetic pace to reflect on where this next phase in her life would take her. She decided to pursue two of her dreams: to become an entrepreneur, and, after being urged by friends fascinated by her life story, to write her memoir. 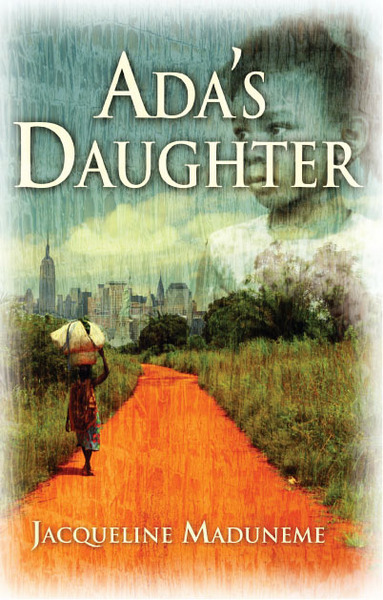 Ada's Daughter is that story. Nigerian-born Jacqueline Maduneme is the author of Ada's Daughter, her first book, and is a successful CPA, tax lawyer and entrepreneur. She is the mother of three young adult sons, and after living all over the world, now lives with her fiancé in Charleston, South Carolina, where her entrepreneurial yearnings are finally taking root in the publishing world. She is a life coach/motivational speaker and a publisher, seeking to give opportunities to budding authors, especially ethnic authors, and those writing on issues of diversity and social justice.